Learn more about persona development and developing an integrated marketing and PR strategy that will engage your community and drive results. 91% of healthcare customers use patient communities to make health decisions. ...Facebook alone has more than 6 million health-related groups, with more than 70 million members. It's no longer an option for healthcare brands to remain uninvolved when it comes to social channels and other communication platforms. 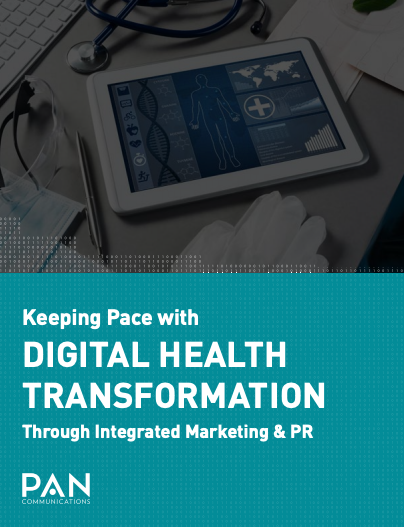 To become a true connected healthcare brand, companies must create, produce, promote and leverage a great story. Healthcare customers are changing the way in which they search for information, guidance and products. By having an integrated marketing and PR strategy in place, your brand can be at the forefront during every stage of the buyer's journey. How to identify your audience and your customer's journey. The steps involved in creating a successful content marketing program. Using owned, earned and shared to drive execution of your inbound efforts. Measuring for success and evaluating your analytics from the top down. The time is now. Download PAN's Healthcare Brand Awareness eBook to get started.